Suffering with cracked corners of your mouth? 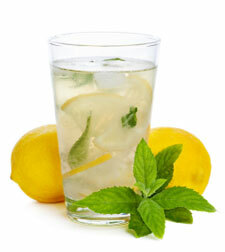 Are you drinking half your body weight in ounces of water each day? 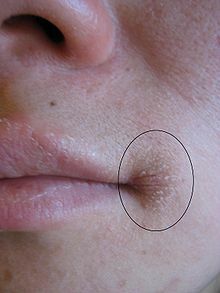 A deficiency of B Vitamins is characterized by cracking of the lips and corners of the mouth. Riboflavin is also know as Vitamin B2. To increase riboflavin add Nutritional Yeast to your diet. Try 1 Tbs Bragg’s Nutritional Yeast added to your green smoothie or sprinkled on cooked vegetables every day. Also, consider a high quality B Complex like Super B. Consume a wide variety of vegetables, greens, seeds and nuts as well as quality animal protein. B12 sources include liver, fish, and red meat. Perque has a good B12 supplement. and make sure that you are getting enough iron and zinc. Two to three times a day, consume protein like wild caught salmon, free range chicken and eggs, and pasture-raised meat. Topically you can apply raw unprocessed coconut oil and alternatively, Vitamin E oil applied to the corners of the mouth can help soothe. When the digestion system is not healthy, nutrients aren’t absorbed properly. Eating an anti-inflammatory diet is the first step in healing the gut. The first four steps will be things you can easily do. If you still experience the cracked corners of the mouth, then I recommend a nutrition evaluation.